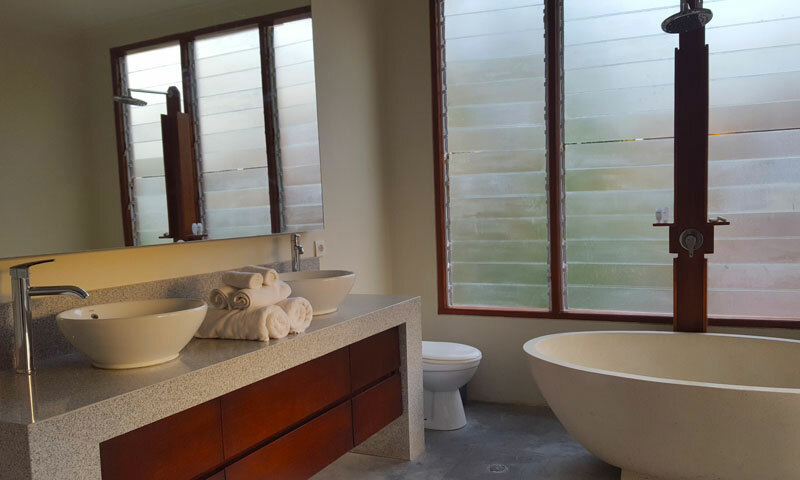 Privacy & Space give experience guarantees excellence service and the finest selection of holiday villas in Bali. Lock-in today’s great deals only pay 30% down payment and We handle all payments for you using a secure online payment system. Enjoy the conveniences of home. Cook breakfast in your own kitchen, use Wi-Fi without extra costs. 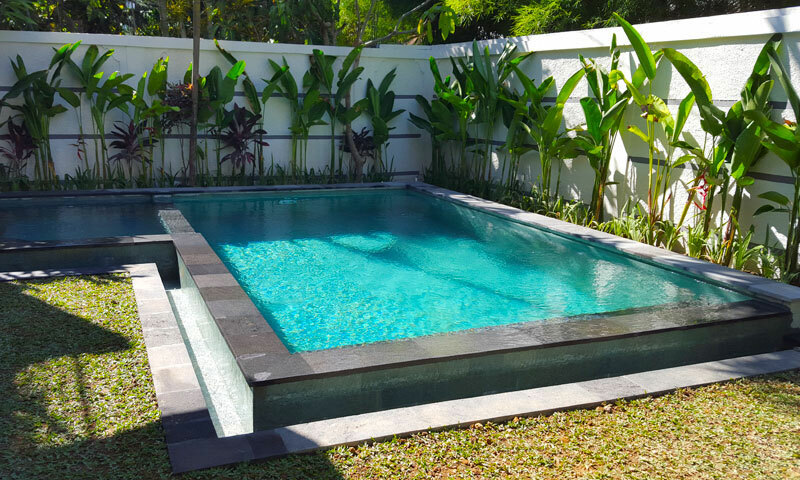 Juada Garden located at the heart of Seminyak, Bali – only 15 minutes drive from Ngurah Rai International Airport and within walking distance to the famous Double Six beach. You can also find various shops that exist around Juada Garden. 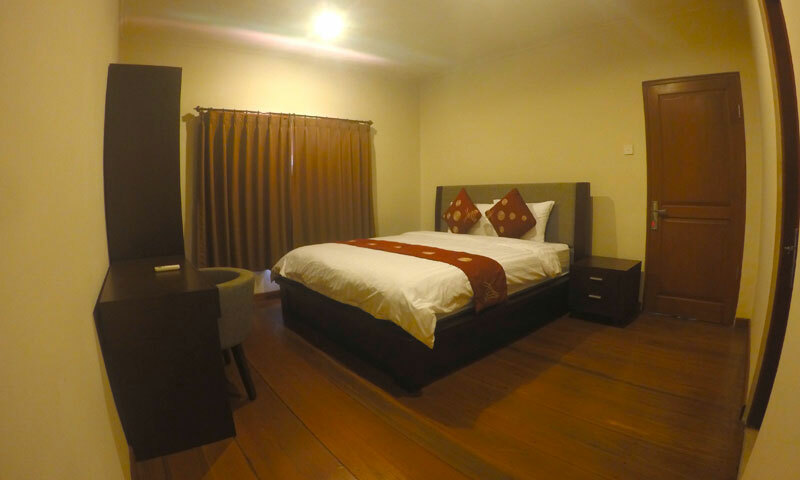 Our friendly and attentive staff will always be delighted to spoil you with our absolutely high standard of service, ensuring every stay remarkable, comfortable, and memorable. 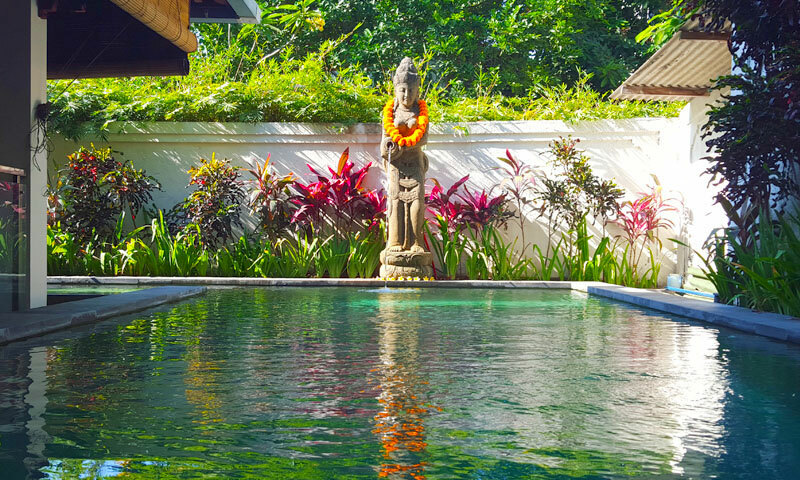 Juada Garden is committed to delivering to you an unforgettable holiday in Bali. Villa 2B - Villa offers you a complete bliss of Three bedroom villa with private pool that makes you and your family feel just as your own home. Villa 1B - Villa offers you a complete bliss of Three bedroom villa with private pool that makes you and your family feel just as your own home. Villa 3A - Villa offers you a complete bliss of Two bedroom villa with private pool that makes you and your family feel just as your own home. 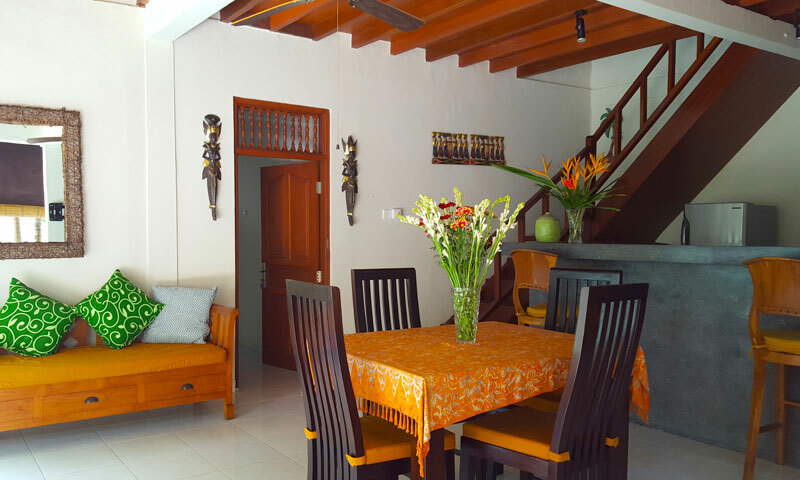 Villa 9 - Villa offers you a complete bliss of Three bedroom villa with private pool that makes you and your family feel just as your own home. Villa 10 - Villa offers you a complete bliss of Two bedroom villa with private pool that makes you and your family feel just as your own home. Villa 2A - Villa offers you a complete bliss of Two bedroom villa with private pool that makes you and your family feel just as your own home. “Beautiful villas, beautiful people” This place is fabulous, beautiful villas, beautiful staff! The facilities are great, especially the bathrooms and the location was good as well. 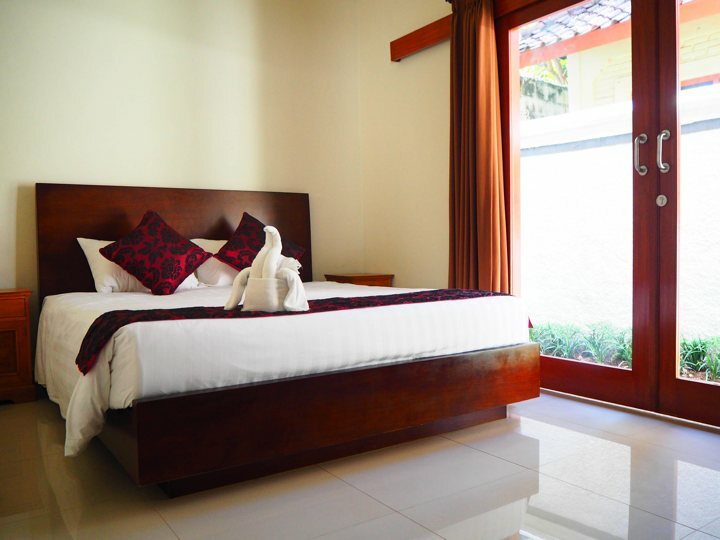 Not far from the beach and short drive to Seminyak square. Nothing was too much trouble for the lovely staff who even pulled up a section of their pool decking to retrieve an earring my friend had lost! They even let me have a late checkout for my night flight which I greatly appreciated. I will stay here again and cant recommend it highly enough! “Very clean.” Very clean. Awesome place. Great location. Great privacy. The owner and his son and all other staff were so helpful, prompt and understanding. I had some issues in the the two bedroom villa I was staying, the electricity is disconcerting from time to time. The owner offered a new 3 bedrooms villa of high standard and did not charge me for one night to reimburse for discomfort. And, He apologised many times. The laundry is at a very reasonable prices. The housekeeping is very good. I recommend to stay here and if you are going for a 3 bedrooms villa with private pool, please go for villa number 2B. What a great place. “Beautiful villa!” The staff were amazing! So helpful and friendly. The villa had everything we needed plus more. The location was great for us so many things to do close by and many restaurants to choose from or the option to make meals at the villa. This is the biggest villa with private pool, i like the kitchen design, bathroom, and bed very comfortable. staff was very friendly, owner very kind. value for money, very good location, just walk to the beach and night club. the place also very clean. i highly recommended this villa to you. Magnificent, excellent - our second home. Be back as soon as we can. Wonderful friendly and helpful staff, nothing was a problem for them to help. Lovely spacious villas, clean and comfortable. Fab stay! No complaints at all about this accommodation, friendly staff, comfortable and clean. Turn right out the hotel and right again takes you straight to the beach, about a 10 min walk. Really enjoyed our stay!